Tupac in police station 1995 (police camera) I see no changes. Wake up in the morning and I ask myself, "Is life worth living? Should I blast myself?" Tupac laughs at fight in interview. He laughs so cool i love his laugh. Thumbs up for Pac ! 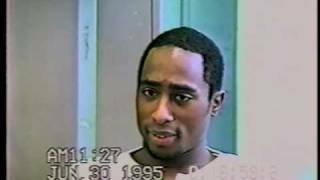 ... 2Pac In Police Station 1995 (Police Camera) (2PacLegacy.Net) 6,245,827 . Tupac asking President Obama a question.